Please let us know if you like it and if there is anything that you think should be changed, included or removed. 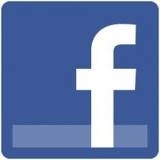 Add Longstone GAC on Facebook! Live score updates for all the senior club games will now be on line for those that can't get to the games. Click the link above to use this feature. Best of luck to Down seniors in the Ulster Final on Sunday, July 22, inluding our own countymen, Ambrose Roger(captain) and Mark Poland. Do you have an old Piano Accordion that you could donate or lend to Comhaltas? We have a number of Adults who want to start playing again but need instruments. Why not search your attic - Comhaltas will look after the instruments and get them tuned etc. practise all your old tunes? It's a very informal session and you definitely do not need to be an experienced musician! Please contact Hugh Cox if you can help or want to come along. (02843767206 or hughcox@gmail.com). *Longstone O’Neills Jerseys, style worn by this year’s senior team as in above photo, can be ordered from Dympna Rooney, 07828 457610. Child sizes Age 5/6 to 13/14 and Adult sizes S,M,L,XL,XXL. Full payment, either £23 or £30, must be made in advance and Dympna will take orders in Longstone Hall on Sunday July 15 from 8.30pm.